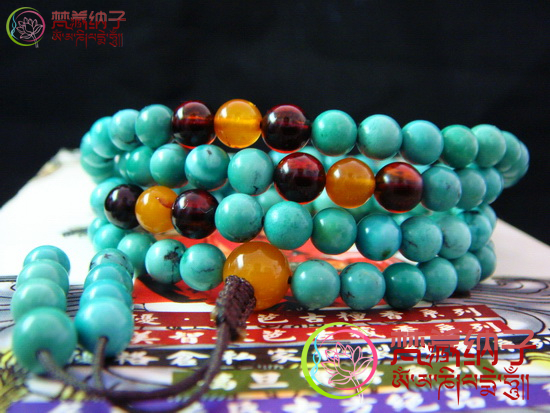 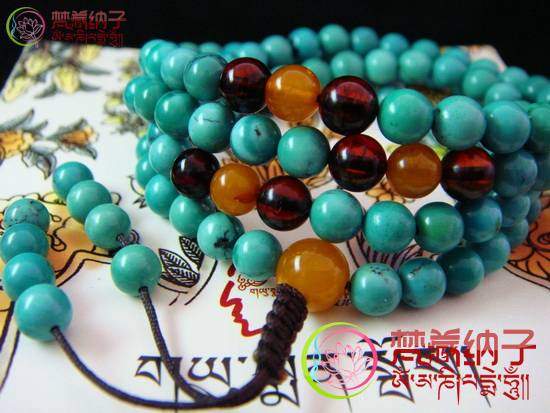 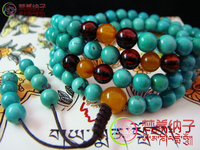 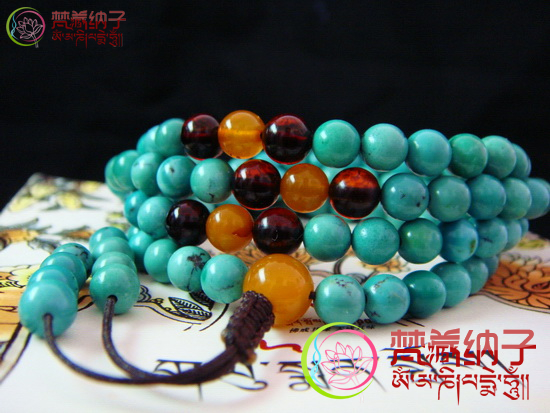 Handmade Tibetan Malas Tibetan Turquoise Malas Buddhist Prayer Beads. 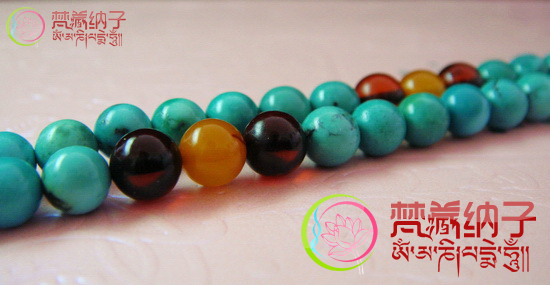 This handmade turquoise malas was made from genuine turquoise, mila amber and blood amber. 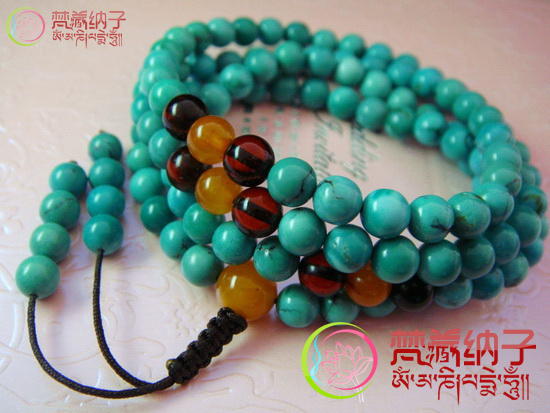 Beads size: 6mm.